Alien attacks, toilet paper guns, spew, the rudest word in the world and the most disgusting pair of undies you have ever seen in your entire life. Raucous, unruly hour and guaranteed to have the whole family (even dads) LOLing, ROFLing and ROFLSHALBOWCOing. * Don't miss it! Our best-smelling book Ickypedia: A Dictionary of Disgusting New Words on the stage in a brand new show about werds and spellling. Anarchic, spontaneous and funny, Ickypedia is for kids of all ages. 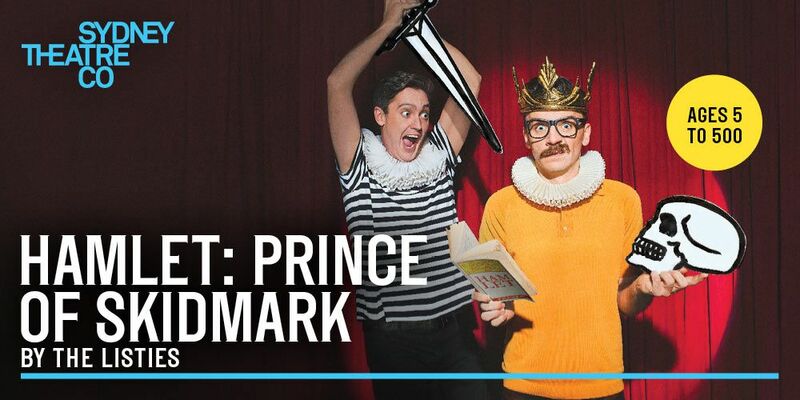 Made with Sydney Theatre Company and director Declan Greene, Hamlet is full of thrilling things that kids love in a good story: ghosts, castles, sword fights, fake blood and spooky stuff. MORE FUN THAN A Wii!